Who knew garbanzo beans married so well with hard boiled eggs, fresh herbs, and a sprinkling of sesame seeds, lemon and garlic. 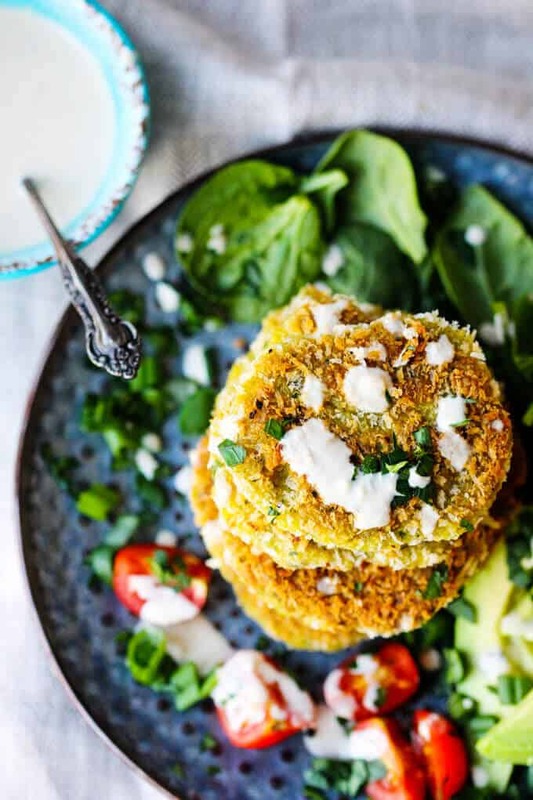 These Chickpea Egg Fritters with Tahini Sauce is a vegetarian treat for either lunch or dinner. 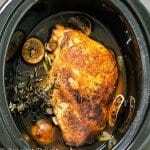 It can be served with simple side veggies like avocados, greens and tomatoes, and in a pita bread or on a bun. The choice is yours. 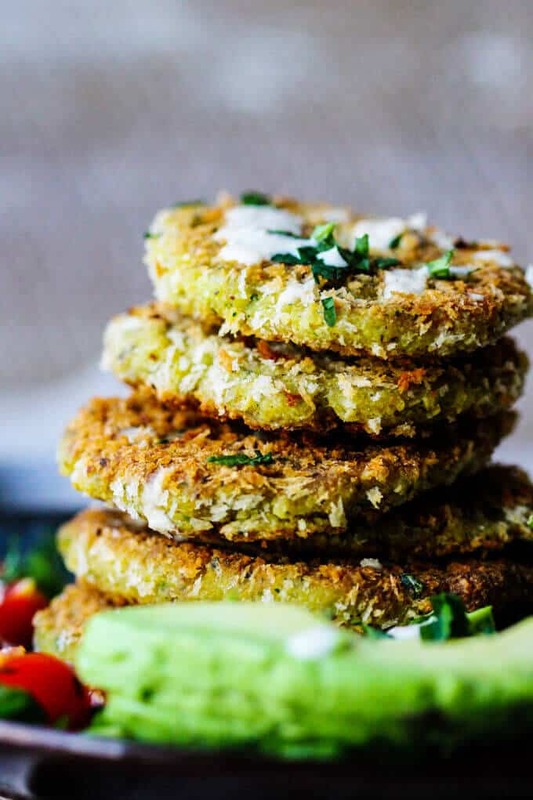 These Chickpea Egg Fritters are extremely easy to make. The only trick is to start the day before. Just like a falafel, these fritters will need dried garbanzo beans soaked overnight. If you use canned chickpeas the consistency will be different, a little more mushy. So if you want to have ‘falafel-like’ fritters you’ll need to use the dried beans. The next day, the dish comes together super quickly. A food processor (affiliate link) will do most of the heavy lifting. You will also need to hard boil some eggs and have them cooled down prior to adding to food processor (affiliate link). 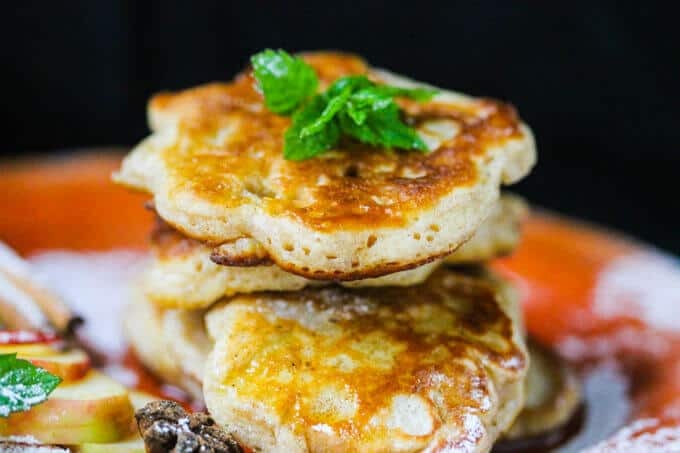 Serve fritters with the sauce on top! When I was a child growing up in Poland, there was a tradition of abstaining from meat on Fridays. 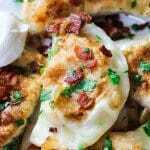 It would mean that there had to be lots of alternatives available which kids would enjoy eating, for instance: Potato and Cheese Pierogi, Sauerkraut and Mushroom Pierogi (Yes, you heard it right…kids in Poland love them! 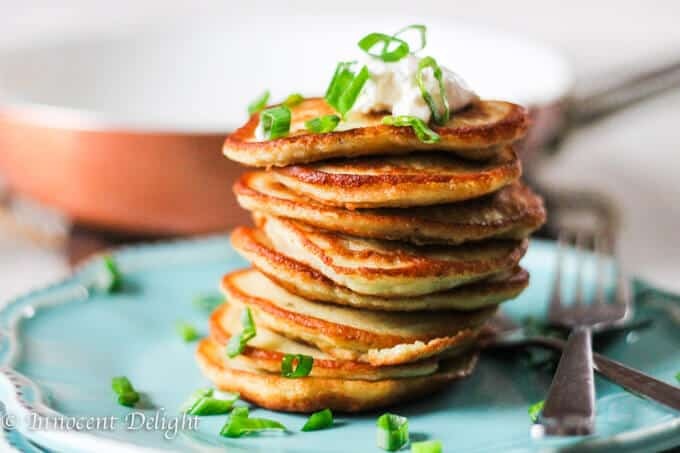 ), Potato Pancakes or Fluffy Apple Pancakes (and yes, people eat sweet dishes for dinner in Poland). Hard boiled eggs fritters were also amongst the favorites. I really liked them. 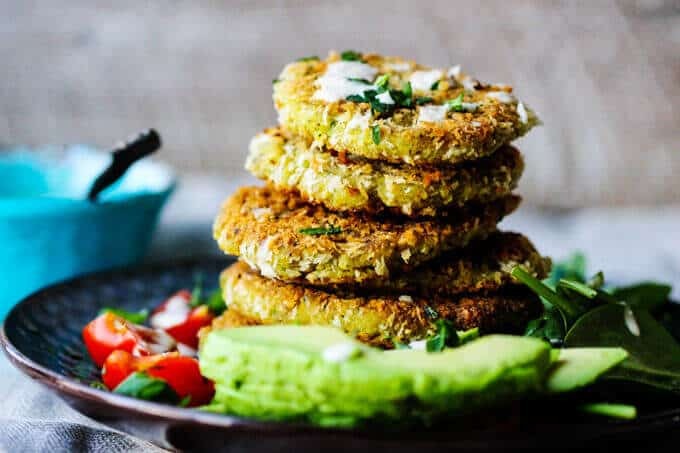 So, recently I was thinking about this dish from my childhood and thought that it might be fun to fuse it together with another favorite…falafel fritters. I came up with this recipe for Chickpea Egg Fritters and I think it’s worthy of sharing. 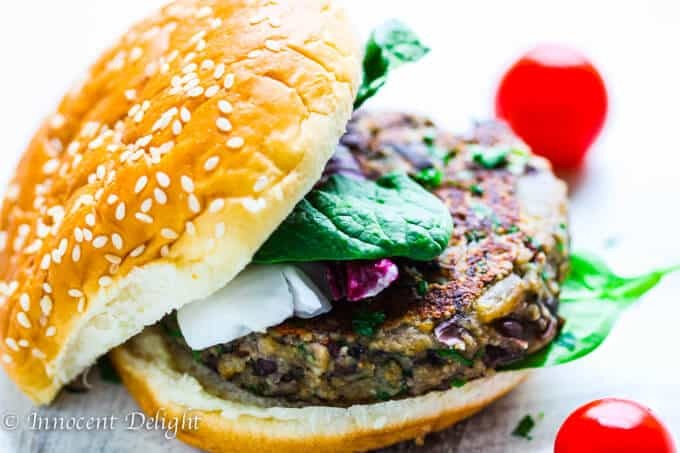 If you like falafel and eggs, you will love this vegetarian treat. 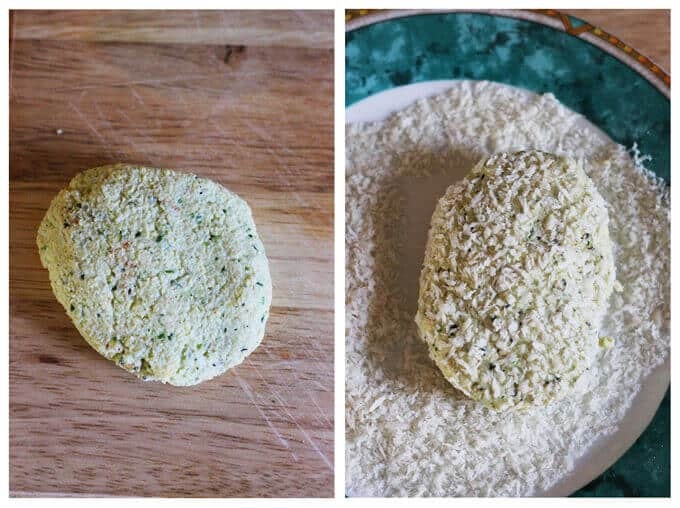 But if you’re looking for a falafel recipe you may want to check one from Gimme Some Oven. These Chickpea Egg Fritters with Tahini Sauce is a vegetarian treat for either lunch or dinner. 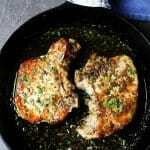 It can be served with simple side veggies like avocados, greens and tomatoes, and in a pita bread or on a bun. The choice is yours. You can serve this dish with a side of avocado, tomatoes and greens or as a sandwich in a pita bread or on the ban. These look great, and I love recipes that come from childhood. It always amazes people the things that kids eat simply because that’s what they grew up with. 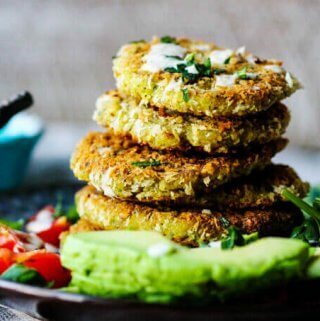 Wow..that looks so appetizing..love chickpeas in any recipe..these fritters are so easy to make, filled with flavors & great to taste! 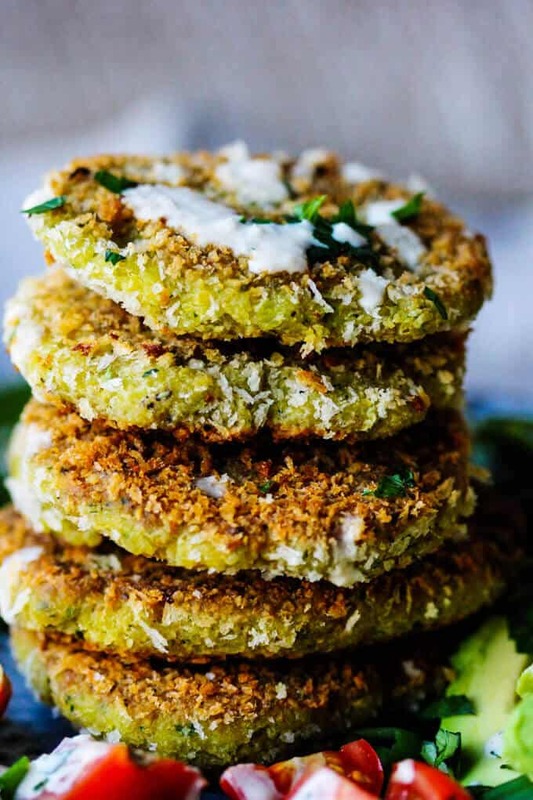 Love fritters and love falafel…so this sounds like a perfect (and deliciously flavorful) recipe for me! This fritters look sooo good. SO delicious! I bet my family and specially my kiddo would devour this. I love addition of tahini. Saving this recipe to try. OH this is so tempting. 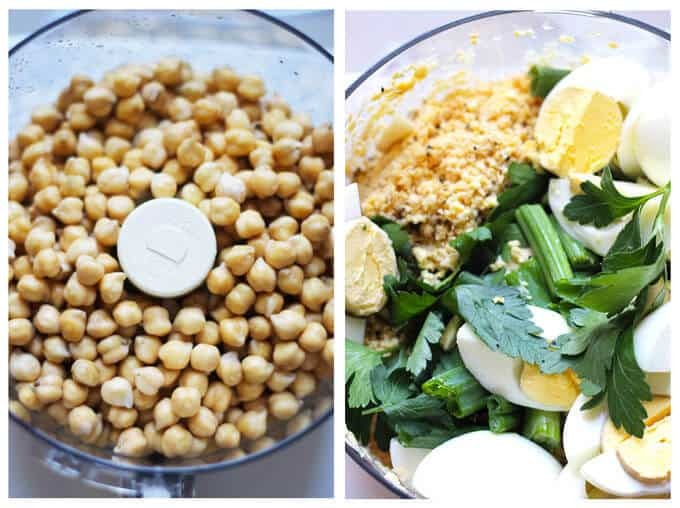 My kids love chickpeas and I’m always looking for creative ways to serve them. I love this. Can’t wait to try this.